I saw everyone talking about Senlin Ascends all over Facebook and Goodreads for months before I actually pulled the trigger and gave the old clockwork key-gun a shot. I’m so glad I did! Josiah Bancroft’s unreal debut novel is as bright, precise, and delightful as Thomas Senlin himself. Who is Senlin and why is he ascending? Thomas Senlin is a young schoolteacher who has just been married to his new wife, Marya. The pair goes on vacation to the singular marvel of the world, the immense Tower of Babel. Replete with their Everyman’s Guide, belongings, and money enough to thoroughly enjoy their honeymoon, Thomas and Marya are ready to enter the tower and its land of fantasy. But this is no ordinary vacation. Within moments of their arrival, Marya ducks into a clothing store for a moment while Thomas waits outside. She does not return. Thomas begs for help, but no one seems to care for his trevails. After two days of searching, Thomas befriends a man who offers to help, but is promptly swindled of nearly all his belongings. Lost and alone, this mild-mannered man of books must brave the strange and terrifying Tower of Babel if he is to find his wife and bring her home. 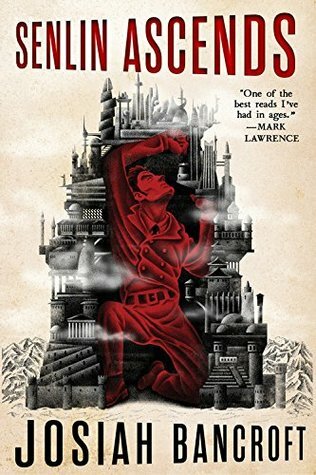 Senlin Ascends is a stunning, fresh read. The characters are all unique and have their own motivations and don’t feel like pieces being moved about on a board. The Tower itself is diverse and fascinating (seriously, imagine a Beer-Me-Go-Round). There’s a lot of inherent mystery in the story, both about the reasons that the Tower exists and about the strange, often hypnotized nature of its residents. And Senlin himself shows such amazing growth and progression in his struggle up through the tower and against the threatening nature of nearly everyone that inhabits it. In short, read this book. And, if you don’t take my word for it, check out these videos of Josiah Bancroft telling you himself! Seriously, friends. Buy a copy and he’ll wash your tub. That spot-free shine will make you Babel! 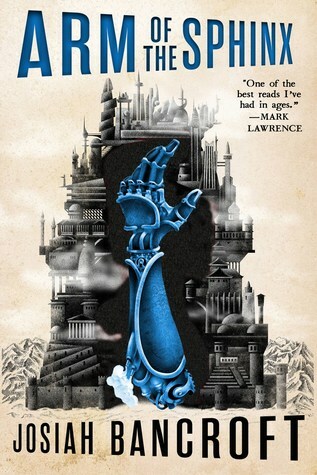 The sequel to Senlin Ascends, Arm of the Sphinx, comes out on March 13th. You can find Senlin Ascends on Amazon or just about anywhere that has books. Learn more about The Books of Babel at the series’ official website. This sounds so good. I think i’m going to have to jump on the bandwagon and give it a go as well. Glad to hear it! It is quite the bandwagon to jump on, and I have a feeling it’s just going to get crazier!